The Sunburst Award Society has announced the winners of the 2018 Sunburst Awards for Excellence in Canadian Literature of the Fantastic in the Adult, Young Adult, and Short Story categories. David Demchuk’s The Bone Mother invites the reader into the uncanny valley between the present and the past. A series of related stories, many of them set in Eastern Europe, chronicle the fates of humans and mythical creatures as they face a war that may be their undoing. The stories explore the boundaries of compassion and warn of the dangers of forgetting. As unsettling as the stories are, they lead the reader deeper into the woods like breadcrumbs. The language is beautiful and the characters as haunting as the archival photographs that illustrate the book. The Bone Mother is a unique achievement. David Demchuk has been writing for print, stage, digital and other media for nearly 40 years. 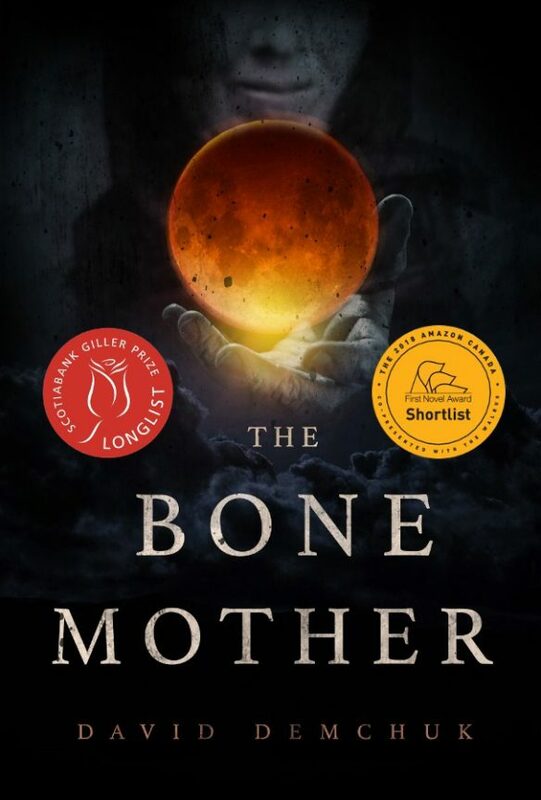 The Bone Mother, his debut horror novel, was nominated for the Scotiabank Giller Prize, the Amazon First Novel Award, and a Shirley Jackson Award, as well as being longlisted for the Toronto Book Award. David has a special interest in queerness and monstrosity. His Cabbagetown back yard is home to a hive of curious but quick-tempered bees. He is quietly at work on a troubling new novel. Cherie Dimaline’s The Marrow Thieves is the story of young Frenchie, an Indigenous teen, and his companions, who are on the run from a society that wants their bodies — and their souls. The book brilliantly connects the legacy of residential schools to a dystopian post-climate-change future where only Indigenous people are able to dream. Dimaline’s novel reminds us of the power of storytelling and the importance of community, reinforced for the disenfranchised children by the wisdom of the heroic elder, Miigwans. The writing is painful yet beautiful, bleak but ultimately hopeful. In this era of reconciliation, Cherie Dimaline’s The Marrow Thieves is a work of speculative fiction that resonates and stays with the reader long past the last page. Cherie Dimaline is an author and editor from the Georgian Bay Métis Community. The Marrow Thieves has already been awarded The Governor General’s Award for Young People’s Literature and the U.S. Kirkus Award For Young Readers. 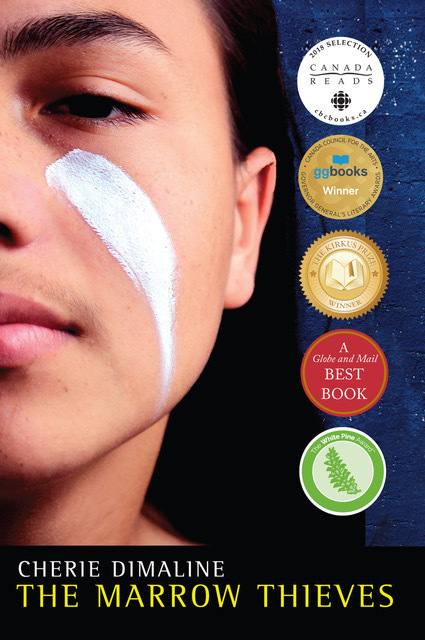 Her first book, Red Rooms (Theytus Books, 2007), won Fiction Book of the Year from the Anskohk Aboriginal Book Awards. Her novel The Girl Who Grew a Galaxy (Theytus Books, 2013), was short-listed for the 2014 Burt Award. In a strong field with many outstanding stories, Sandra Kasturi’s “The Beautiful Gears of Dying” did for the jury what speculative writing does best, by using a fantastic/technological trope to explore the complexity of human relations and the texture of human life. Kasturi’s story is linguistically complex, economical, emotionally intense, and yet accessible, and it provokes recurring thoughts about our human predicaments. Sandra Kasturi is a poet, writer and editor, and co-publisher of the World Fantasy and British-Fantasy Award winning press, Chizine Publications. Born in Estonia to an Estonian mother and a Sri Lankan father, she now lives in Canada. Sandra is co-founder of the Toronto SpecFic Colloquium and the Chiaroscuro Reading Series. Her work has appeared in publications such as On Spec, Prairie Fire, Tesseracts anthologies, Taddle Creek, ARC Magazine and others. Her two poetry collections are: The Animal Bridegroom and Come Late to the Love of Birds. Sandra is currently working on a new poetry collection as well as a new collection of her short fiction. Winners of the Sunburst Award for Excellence in Canadian Literature of the Fantastic receive a medallion that incorporates the Sunburst logo. Winners of both the Adult and Young Adult Sunburst Award also receive a cash prize of $1,000, while winners of the Short Story Sunburst Award receive a cash prize of $500. SUNBURST JURORS: The 2018 Sunburst Award jury was comprised of Megan Crewe, Kate Heartfield, Dominik Parisien, Halli Villegas, and Heather Wood. Jurors for the 2018 short story awards were Candas Jane Dorsey, Emily Pohl-Weary, and Alexandra Renwick. Jurors for the 2019 novel awards will be Greg Bechtel, Janie Chang, Susan Forest, Kari Maaren and Susan Reynolds. Jurors for the 2019 short story awards will be S.M. Beiko, David Demchuk, and Gemma Files. Submissions of eligible works published in 2018 for the 2019 awards are now being accepted. See the Sunburst Award News Page for details. The 2018 shortlists for the Sunburst Award for Excellence in Canadian Literature of the Fantastic were posted July 30. Whether he likes it or not, the supernatural world of spirits and witches is coming for sixteen-year-old Jared in Eden Robinson’s Son of a Trickster. Considering the life he’s had so far, a little magic might be what he needs to find his way through the chaos of his family, friends, and neighbors. At turns heart-wrenching and humor-filled, this contemporary fantasy brings its characters to vivid life in a story nearly impossible to put down. In Sputnik’s Children, Terri Favro gives us the remarkable comic book creator Debbie, an unreliable narrator who decides to finally tell the story of her most famous character, Sputnik Chick: The Girl with No Past. Deftly mixing elements of CanLit, alternate history, weird fiction, and cold-war paranoia, Favro has created a memorable book full of adventure and feeling. Wendy Orr’s Dragonfly Song follows Aissa, or No Name, in her heroic journey to find her place in a cruel world. Abandoned as a child and raised as a slave and outcast following the death of her adoptive family, Aissa relies on her courage, determination, and wit to become a bull dancer for the great Bull King. Set in the Bronze Age, Dragonfly Song brings mythology to life through a mix of gorgeous prose and poetry. Generations after Earth has been taken over by an alien race, a teen boy finds himself at the center of the struggle between peace and freedom. Fonda Lee’s Exo deftly examines timely issues of colonialism, complicity, violent resistance, and personal responsibility in an intense, fast-paced work of science fiction that’s as gripping as it is thought-provoking. The Sunburst Award Committee has published the 2018 longlist for the Sunburst Award for Excellence in Canadian Literature of the Fantastic. The Sunburst Award official shortlist will be announced in late June. Sunburst Award winners will be announced in Fall 2018. The Sunburst Award Society has announced the winners of the 2017 Sunburst Awards for Excellence in Canadian Literature of the Fantastic in the Adult, Young Adult, and Short Story categories. 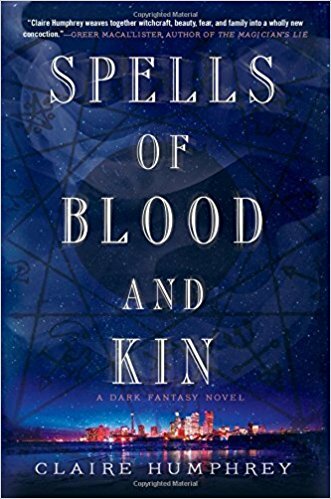 The winner of the 2017 Sunburst Award for Adult Fiction is Spells of Blood and Kin by Claire Humphrey (Thomas Dunne Books). In her debut novel, Claire Humphrey shows us a world of magic existing in the shadow of Queen Street bars and down side streets lined with old houses in Toronto. When Lissa Nevsky’s grandmother dies, she inherits the old world magical practices and an old obligation that comes trailing a dark history of violence and bitterness. In cool, elegant prose, Humphrey’s novel gives us a fresh take on magic, exploring the gifts it can bestow and the price it exacts. Humphrey’s use of a real, contemporary Canadian setting and her refusal to allow her characters any easy victories set this novel apart from a field of strong competitors. Claire Humphrey is a national buyer for Indigo Books. Her short fiction has appeared in Strange Horizons, Beneath Ceaseless Skies, Apex, Crossed Genres, Fantasy Magazine, and Podcastle. Her short story “Bleaker Collegiate Presents an All-Female Production of Waiting for Godot” appeared in the Lambda Award-nominated collection Beyond Binary, and her short story “The Witch of Tarup” was published in the critically acclaimed anthology Long Hidden. The 2017 winner of the Sunburst Award for Young Adult Fiction is Sophie Quire and the Last Storyguard by Jonathan Auxier [Puffin Canada]. 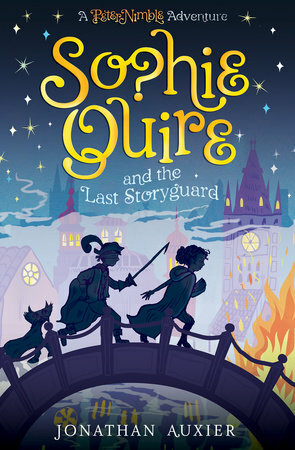 Sophie Quire and the Last Storyguard (volume two in the Peter Nimble series by Jonathan Auxier) is a surprisingly complex take on age-old themes. Intrepid heroes, vivid villains, and an array of fantasy characters interact in a plot that places the importance of storytelling at its heart. It’s a metafictional adventure about the power (and limits) of story that, despite its invocation of well-worn tropes and its echoes of classics of children’s fantasy, still manages to be both surprising and gripping (and very funny) in its long, intricately-plotted narrative. It celebrates pure storytelling pleasure and refreshingly avoids any didactic moralizing. Jonathan Auxier is a Canadian-American writer of young adult literature. His debut novel Peter Nimble and his Fantastic Eyes was an ABA New Voices pick and a BookPage Magazine Best Book of 2011. His novel The Night Gardener won the TD Canadian Children’s Literature Award and the Canadian Library Association Book of the Year for Children Award, and was shortlisted for the Sunburst Award and the Governor General’s Award. The winner of the 2017 Sunburst Award for Short Story is “The Sailing of the Henry Charles Morgan in Six Pieces of Scrimshaw (1841)” by A.C. Wise (initially published in The Dark, Issue 14). In an ingenious twist on the “found manuscript” trope, the narrative develops through pictorial vignettes inscribed on whalebone, baleen, and a rib of mysterious origin, minutely described as if for a museum catalogue or forensic report. Wise’s story is eerie, subtle, and highly visual, with pleasurably chilling overtones of Lovecraft’s Innsmouth abominations. Although individual characterization is virtually eliminated by the unique form and the distanced, objective narrative, it still succeeds in frightening and engaging the reader. A.C. Wise was born and raised in Montreal, and currently lives in the Philadelphia area. Her work has appeared in publications such as Clarkesworld, Tor.com, Shimmer, and The Year’s Best Dark Fantasy and Horror 2017, among other places, and has been a finalist for the Lambda and the Sunburst Awards. Her collections The Ultra Fabulous Glitter Squadron Saves the World Again and The Kissing Booth Girl and Other Stories are both published by Lethe Press. SUNBURST JURORS. The 2017 Sunburst Award jury was comprised of Nancy Baker, Michel Basilières, Rebecca Bradley, Dominick Grace, and Sean Moreland. Jurors for the 2018 novel awards will be Megan Crewe, Kate Heartfield, Dominik Parisien, Halli Villegas, and Heather Wood. Jurors for the 2018 short story awards will be Candas Jane Dorsey, Alexandra Renwick, and Emily Pohl-Weary. The shortlists for the 2017 Sunburst Awards for Excellence in Canadian Literature of the Fantastic have been announced. The juried awards are presented to the best Canadian speculative fiction novel, book-length collection, or short story published any time during the previous calendar year. Sunburst Award winners will be announced in Fall 2017. Sunburst Award winners receive a cash prize of $1,000 for the Adult and Young Adult categories, and $500 for the short story category, as well as a medallion which incorporates the Sunburst logo. The 2017 longlist for the Sunburst Award for Excellence in Canadian Literature of the Fantastic was announced on May 29. Below are the works longlisted by the jury. The Sunburst Award official shortlist come out in late June. Sunburst Award winners will be announced in Fall 2017. Black Mirror starts by riffing on the modern fear of living in a digital, immersive world. It’s ironic that fans will watch episodes where a young boy is surveilled through his webcam by unrevealed stalkers, with inevitable grim results, then take to their smartphones or Twitter to declare that they want to get away from their phones and get offline. (2) THE FANNISH INQUISITION. Smofcon 34 has asked existing and prospective Worldcon and NASFiC bidders to complete a questionnaire – some responses are already available online. (3) THE BOUNDARIES OF EMPATHY. Ann Leckie says there was really nothing special about Nazis — “On Monsters”. Here’s the thing–the Nazis? Those concentration camp guards, the people who dug and filled in mass graves, led prisoners to gas chambers, all of that? They were not inhuman monsters. They were human beings, and they weren’t most of them that different from anyone you might meet on your morning walk, or in the grocery store. I know it’s really super uncomfortable to look around you and realize that–that your neighbors, or even you, yourself, might, given circumstances, commit such atrocities. Your mind flinches from it, you don’t want to even think about it. It can’t be. You know that you’re a good person! Your neighbors and co-workers are so nice and polite and decent. You can’t even imagine it, so there must have been something special, something particularly different about the people who enthusiastically embraced Hitler. I’m here to tell you there wasn’t. One of the phenomena that led to the weirdness of the recent election is the use of binary thought, a basic Us vs. Them that does not allow for the fact that human beings are significantly more complicated than a single yes/no statement. I see it being embraced even more strongly now – by both the Left and the Right. The world is more complicated than that. To fall into that trap is to let yourself be controlled by whoever wields the media around you the most effectively. You must think, you must question. You must figure out where your common ground is and how to use it. This is not the time to be silent. This is a time when how you live and act and speak is more important than it ever has been. So. Here’s what I’m doing. I’m listening to the voices that haven’t been listened to and amplifying their message wherever I can. Recommending a wide and interesting range of works for the SFWA Recommended Reading List. Reading across the board and making sure I look for new, interesting, diverse stuff – and then spreading the word of it. I’m nominating and voting for awards and taking the time to leave reviews when I can. As a teacher, the most important thing I can do is try to show my students how an artist lives and works. Why it’s important to confront and acknowledge one’s own flaws so you understand them in others. How to be a good human, one that is responsible, ethical, open to the world. Feminism is more important now than ever, and being one publicly in a way that redeems the bizarre media stereotypes that have been imposed upon it is crucial to generations to come. (5) FIRST FEMALE ISS COMMANDER RETURNS TO SPACE. Astronaut Peggy Whitson wrote a few more entries in the history books this morning: “Watch the first female commander of the space station blast off today”. Whitson became the first female commander of the International Space Station in 2007, and at 3:20 EST today, she’ll ride a Soyuz rocket alongside cosmonaut Oleg Novitskiy and ESA astronaut Thomas Pesquet, to take her place as commander of Expedition 51 on the International Space Station. She’s also set to become the oldest woman in space, at 56 years of age. (6) SPOOLING OUT. The inaugural Rewind Con, a new celebrity convention held this month in Chicago, probably took a bath according to a Nerd & Tie report, “Rewind Con Was Apparently a Total Mess”. …We don’t have exact figures, but people present have estimated numbers anywhere between one and three thousand attendees. And while any of those would be a respectable number for a first year convention, when you consider Rewind Con had between fifty and sixty guests (most of whom likely asked for pretty sizable guarantees) this event must have been a massive financial disaster. The only way the organizers could have paid those guarantees is if the money came directly out of owner Jaymie Lashaway’s pocket. We’ve also seen reports of people who paid for the $300 VIP Passes not receiving what was promised, tons of reports of staff mismanagement, issues with paid photo ops, and a complete inability to put on a good show. (7) MIND MELD. Shana DuBois populated the latest Mind Meld with the editors and authors of the recently released anthology The Starlit Wood from Saga Press.They were asked “to chat about fairy tales and their influence on modern-day storytelling.” The participants are Navah Wolfe, Dominik Parisien, Margo Lanagan, Kat Howard, Stephen Graham Jones, Aliette de Bodard, Charlie Jane Anders, Jeffrey Ford, Theodora Goss, and Daryl Gregory. (8) FULL FATHOM FIVE-SEVEN-FIVE. With two five-syllable verses, the traditional haiku is arguably a poetic form tailor-made for Filers. Therefore I want you all to know Fantasy Literature has kicked off its “Third Annual Speculative Fiction Haiku Contest”. Leave entries in the comments. The rules don’t state a deadline for entering. (9) BRADBURY’S NATIONAL BOOK AWARD MEDAL. Sixteen years ago this month Ray Bradbury gave an acceptance speech when the Board of Directors of the National Book Foundation conferred its Medal for Distinguished Contribution to American Letters on him. This is incredible. This is quite amazing because who you’re honoring tonight is not only myself but the ghost of a lot of your favorite writers. And I wouldn’t be here except that they spoke to me in the library. The library’s been the center of my life. I never made it to college. I started going to the library when I graduated from high school. I went to the library every day for three or four days a week for 10 years and I graduated from the library when I was 28. (10) UNDER THE HAMMER. Heritage Auctions published the top bids from its recently-completed Space Exploration Auction #6167. (11) SUNBURST SEEKS SHORTS. The Sunburst Awards, recognizing “Excellence in Canadian Literature of the Fantastic,” is looking for submissions to be considered in its short story award category. 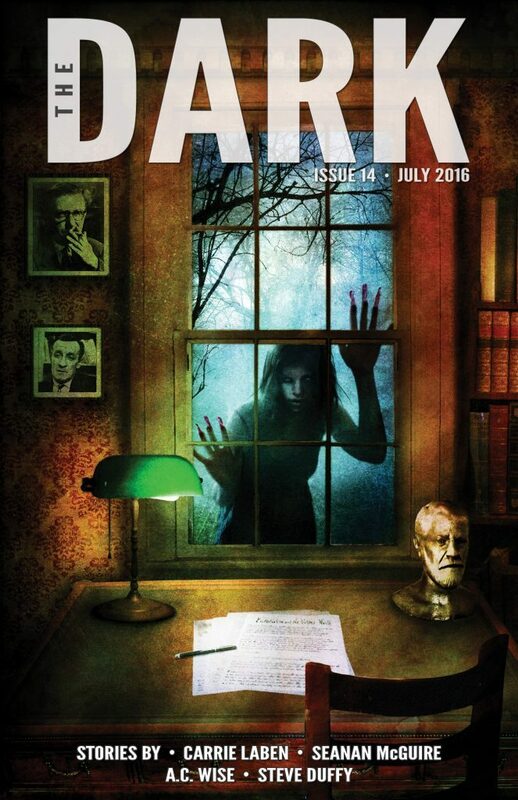 Short stories published in magazines, anthologies or collections, or online all qualify. Canadian authors: It’s free to submit, and your publishers may not have already done so. Publishers: If you have submitted a collection for the novel length award already, please send us a note to secretary@sunburstaward.org to let us know which of the stories included qualify (see below) for the short story award. You may submit stories which qualify from magazines or anthologies you have published as well. To submit these, please upload the individual story files from the link on our website. The Sunburst Awards will consider short fiction (up to 7,500 words.) for the short story award. Submissions are made electronically using a submission system for short form works and must be in either Word document or pdf format only. You will be asked to provide details of where the work was originally published along with the date and story length. All works must have been previously published in 2016. *See additional criteria on our website. *Deadline for submissions is Midnight Eastern Standard Time on January 31, 2017. (12) BYRON, SELL HIGH. At the SFWA Blog, Rosalind Moran talks about the appeal of broody men: “Brood For Thought: On The Enduring Appeal Of The Moody Male Lead”. The moody male lead is widespread throughout all genres, but it can be difficult to see why anybody would want to spend time with him. He’s brooding, exceedingly individualistic, melancholic, and disposed to hanging around outdoors during thunderstorms for no good reason beyond cultivating his mystique. Furthermore, despite possessing attributes such as introspection, sophistication in some form, and intelligence, he is also typically rather unpleasant. So what’s underpinning his enduring presence and appeal in fiction? The winners of the 2016 Sunburst Awards for excellence in Canadian literature of the fantastic were announced on September 14. 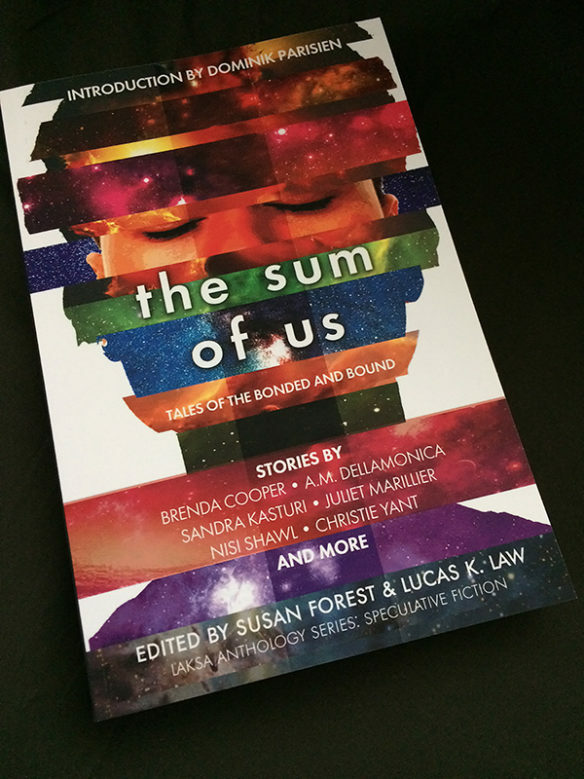 This year marked the first time a Sunburst has been given in the Short Story category. 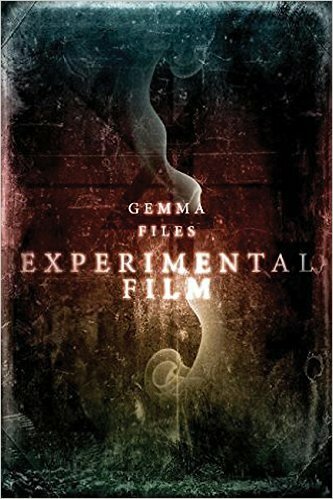 Experimental Film by Gemma Files (ChiZine Publications). An Inheritance of Ashes by Leah Bobet (Scholastic Canada). “Hide and Seek” by Catherine MacLeod (initially published in Playground of Lost Toys [Exile Editions]). Winners of the Adult and Young Adult Award receive a cash prize of $1,000. Winners of the Short Story Award receive a cash prize of $500.00. 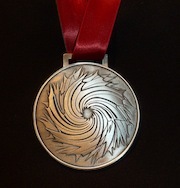 All winners also receive a Sunburst Medallion. The Sunburst is named after the first novel by Phyllis Gotlieb, among the first published authors of contemporary Canadian science fiction. The Sunburst Award Committee has announced the shortlist for the 2016 Sunburst Awards for Excellence in Canadian Literature of the Fantastic, including a new category, Short Story. Jurors for the 2016 award are Timothy Anderson, Sylvie Bérard, Virginia O’Dine, Dale Sproule, and Myna Wallin. Sunburst Award winners will be announced on September 14th. The Sunburst Award jury has selected its longlist for the 2016 awards. The Sunburst Award for Excellence in Canadian Literature of the Fantastic celebrates the best in Canadian fantastic literature published during the previous calendar year. The Sunburst Award official shortlist will be announced on July 5. Sunburst Award winners will be announced on September 14.